The inauguration was attended by Dr. Thong Khon, Minister of Tourism and Chairman of the National Olympic Committee of Cambodia (NOCC) and Kampong Chhnang provincial governor Chhour Chandoeun, in addition to company officials and staff. 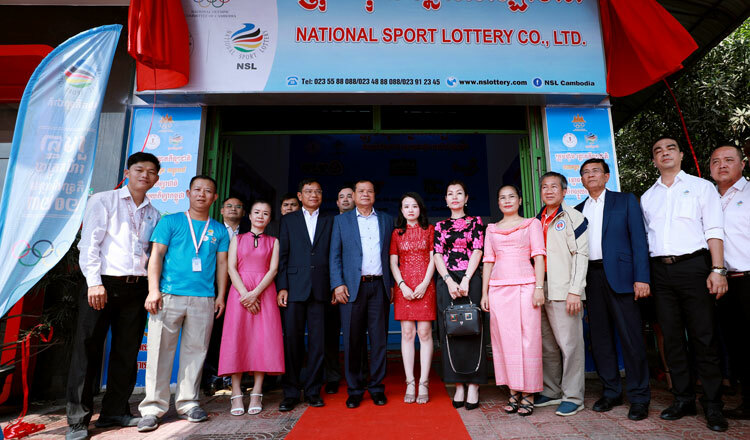 Vath Chamroeun, Secretary of State of the Ministry of Tourism and Secretary-General of the NOCC, said the branch is the sixth province where the national lottery company has launched. Chen Yongsieng, director at National Sport Lottery said that after obtaining permission from the government in 2014, the company has worked closely with the NOCC to promote its business operations in support of national sport as well as supporting the preparation of the 2023 SEA Games.